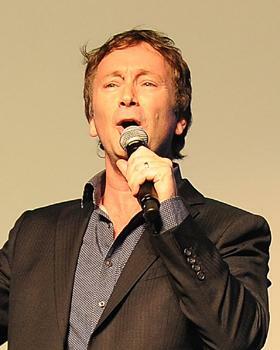 Award-winning British comedian Jeff Green has become a well-known face and voice on Australian TV and radio since arriving for his first Melbourne International Comedy Festival performance in 1996. Amongst his many Australian TV credits are Spicks and Specks (ABC), Good News Week (TEN), The Glass House (ABC), World Comedy Tour (The Comedy Channel) and The Squiz (SBS) and as well as numerous appearances on the Melbourne Comedy Festival Gala (Ten). Since 1990 Jeff has performed for scores of corporate clients, including a large spectrum of European and Australian Industry: Virgin, Bluescope Steel, BMW, British Gas, Scottish Publican's Association, BOSS Industry Awards, Northern Housing Awards, Education Resources, Airwave Star Awards, Affinity Media, Channel Four Television, PriceWaterHouseCooper, Jaguar and many more. Since quitting the heady world of Chemical Engineering to follow a hunch that he had more to offer show business than Industrial Gases distribution Jeff has performed at theatres, events and festivals all over the world. Now an Australian resident (he has an Australian wife, some have accused him of social climbing but he disputes that), Jeff brings over 20 years of TV, stage, corporate and broadcast experience to each event. He is a fast on his feet thinker, intelligent with a warm, engaging style – perfect for clients who wants to leave a lasting, positive impression for their corporate event. Jeff's attention, preparation and tailoring of his show to specific client needs sets him apart from others in the corporate entertainment world. Jeff's versatility ranges across funny and up-beat after-dinner speaking, Industry Awards hosting, product launches, corporate voice overs, script writing and editing.